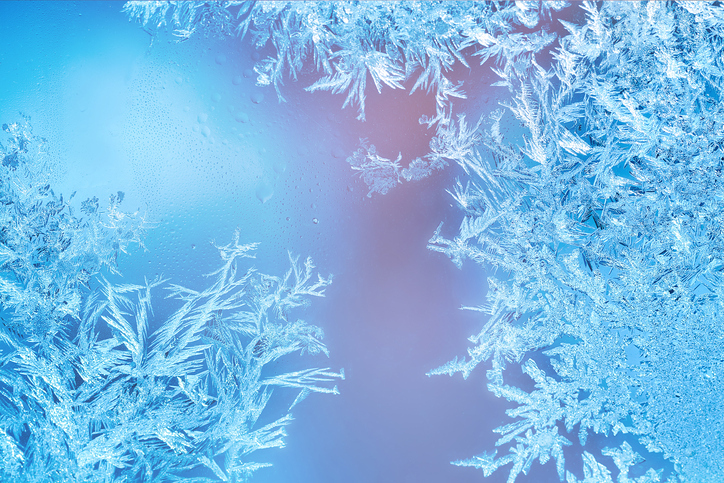 To freeze means ‘to become hardened into ice’ or ‘to become hard with cold.’ If you’re talking about feelings, it means ‘to lose warmth.’ It also means ‘to become speechless or motionless,’ as with fear, shock, or surprise. To freeze means ‘to be of the degree of cold at which water freezes.’ In economics, to freeze means ‘to fix prices at a specific amount’ and ‘to prevent something from being sold’ or, when applied to bank accounts, ‘to prevent money from being accessed.’ It can also mean ‘to stop the production of something.’ As a noun, a freeze is the instance of freezing or the state of being frozen or a period of very cold weather. It’s also a legislative action to control prices or stop the production of something. The water in the lake has frozen; we can go ice skating later! When I cook, I like to make extra so that I can freeze some meals for another day. James really likes Paula, but every time she speaks to him, he just freezes and can't think of anything to say in reply. To try to keep customers, the company has promised to freeze prices for a year. The businessman was suspected of fraud and all his assets and bank accounts were frozen. The government has agreed to freeze fossil fuel extraction and look into renewable energies instead. The company currently has a freeze on recruitment, so if anyone leaves, they won't be replaced. During the freeze last winter, temperatures got down to -25˚C. When something freezes it becomes frozen–which is both the past participle and the related adjective. Frozen is also the title of a famous animated movie. You can watch a sing-along version (it shows the lyrics and when to sing them, so you can sing with the video) of one of the movie’s songs, “Let It Go,” here. We’ll be listening for you all bursting into song this morning! Freeze dates back to before the year 1000. The Old English verb frēosan (to turn to ice), which later became the Middle English verb fresen (both meaning freeze), can be traced back all the way to the Proto-Germanic verb *freusan, and the Proto-Indo-European root *preus- (which meant both ‘to freeze’ and ‘to burn’). It is related to the Middle Low German vrēsen, the Old Norse frjōsa, the Old High German friosan and the Modern German frieren. It has been used to mean weather ‘cold enough to freeze’ since the 13th century, and it has been used to mean ‘to die from the cold’ since around the year 1300. The noun, meaning ‘freezing conditions,’ comes from the verb, and first appeared in the early 15th century. The figurative senses date back to the late 14th century (‘make hard or unfeeling’) and the early 18th century (‘become rigid or motionless’). The business meanings were first used in the mid-19th century.